"This material world is often described as an ocean of nescience. In such an ocean, everything is agitated. The mind of a great devotee is also like an ocean or a very large lake, but there is no agitation. As stated in Bhagavad-gita (2.41): vyavasayatmika buddhir ekeha kuru-nandana. Those who are fixed in the service of the Lord are not agitated by anything. It is also stated in Bhagavad-gita (6.22): yasmin sthito na duhkhena gurunapi vicalyate. 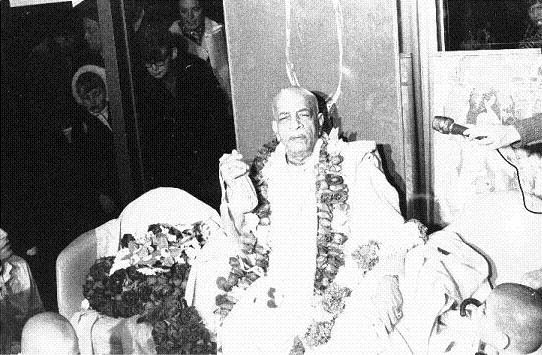 Even if he suffers some reversals in life, a devotee is never agitated. Therefore whoever takes shelter of a great soul or a great devotee becomes pacified."